Machined to fit seamlessly while bringing both artistry and rugged engineering to John Browning's classic 1911 design, Green Master Series Lasergrips are sure to impress. Featuring ergonomic and beautiful Rosewood side panels with a rubber overmolded activation button; these are the ultimate laser sights. 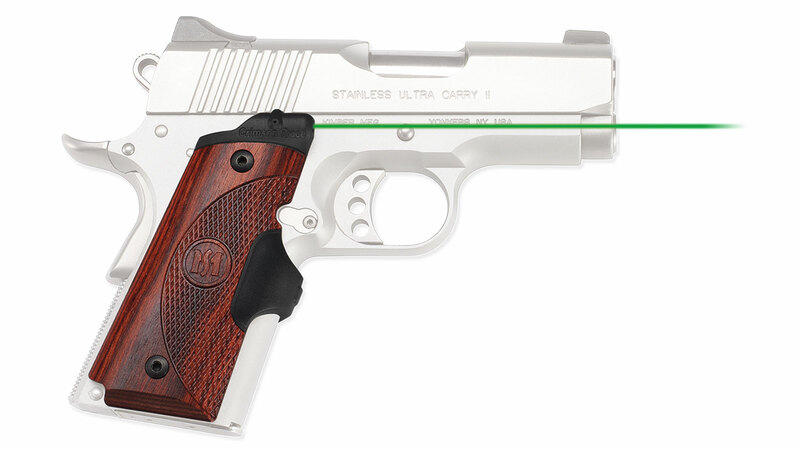 Standard to Crimson Trace Lasergrips, the LG-902G features Instinctive Activation. This means that the laser sight automatically springs to life when the weapon is held in a natural firing grip.